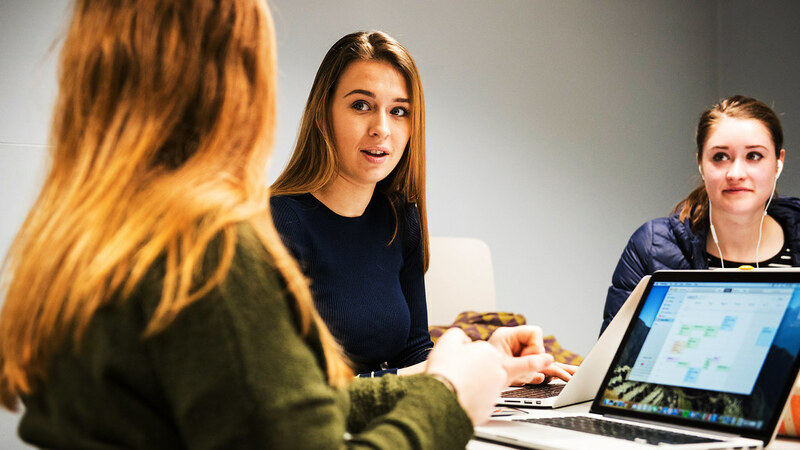 You can study with your peers or independently in a number of places on campus or in the city centre, whether you're an undergraduate or postgraduate student. Learning Commons are open-plan study areas for Undergraduate and Postgraduate students. Most Learning Commons also have study rooms available for individual or group work. You can book a study room online or simply turn up, although rooms are allocated on a first-come, first-served basis. There are also study spaces you can use in The Chancellors' Building and the Students' Union. You can also find social spaces and group or individual study spaces in the Library.